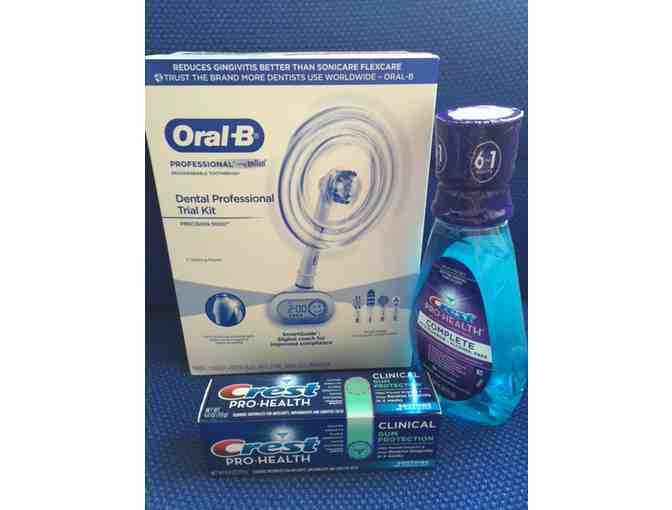 Oral B Professional Rechargeable Toothbrush kit $159 Value! Oral B professional rechargeable toothbrush with 5 cleaning modes! Hard brushing warning light, helps protect against harsh brushing and a Smart Guide: Digital coach for improved compliance. 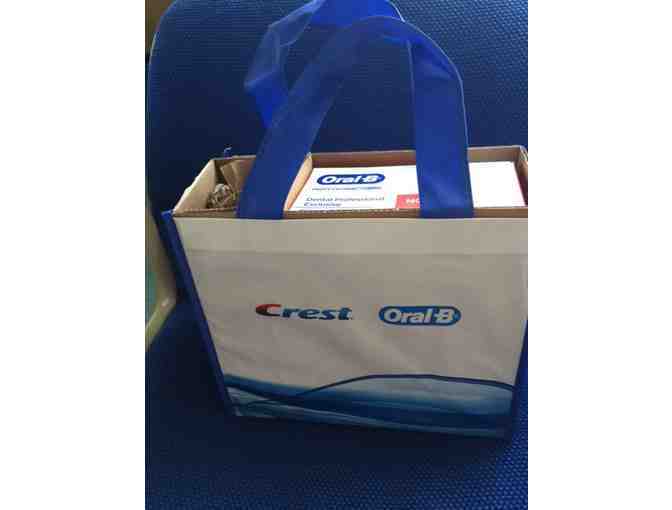 Handle, charger, 4 brush heads, refill stand, travel case, smartguide a bottle of Crest Pro-Health Complete mouthwash and last but not least a Clinical Gum protection Crest Pro-Health toothpaste!